The submitted entry (the “Work”) must be original and not exceed 2m in its greatest dimension. There is no minimum size limit. The Competition is open to both 2 dimensional and 3 dimensional works in all media, sculpture, video, installation, sound. The work selected for exhibition must be available from 1st September 2019 – 31st December 2019. In order to enter the competition, all entrants shall complete an online application form at https://landscape.artopps.co.uk/online-entry/ (the “Entry Form”) and follow all directions therein. All images uploaded for the purposes of completing the entry process shall not be manipulated or otherwise artificially or digitally enhanced by the Artist. The selectors shall be appointed by the prize in such number and of such qualification as it sees fit at its sole discretion. The selectors’ decision shall be final and no correspondence will be entered into. All works will be judged anonymously and there will be no segregation by artist, genre, medium or style etc. Following the selection process the artists will be contacted by organisers with dates and venues to deliver their work. The artists will be responsible for the cost of delivery of their work to either one of the collection points or directly to Rheged Centre. A full list of recommended carriers will be available for artists selected for exhibition. The Rheged Centre will contact each of the artists once the exhibition has come to an end to inform the artists if their work has sold. Any unsold works at the end of the exhibition will need to be collected by the artist either from the Rheged Centre or one of the collection points. Framing or mounting of works, if required for exhibition, is also the responsibility of the artist and must be carried out prior to delivery. Works not requiring framing or mounting must be suitably protected to avoid damage in transit and clear indication should be given as to how the work could be presented. Works selected for exhibition may be offered for sale. The Rheged Centre will levy 50% incl VAT commission on all works sold during the exhibition or afterwards directly as a result of the exhibition. Artists must make sure that their sale price includes the commission and, if applicable, VAT. Whilst the prize shall use reasonable skill in all circumstances in handling artists’ works, occasional damage to works may occur. The organisers shall have no liability whatsoever for any loss, damage or destruction (including loss of profits or any other consequential loss, indirect or incidental losses) to, or relating to, a work of art submitted for exhibition unless such loss arises as a direct result of negligence by the organisers. Each artist, by entering the prize confirms that they hold all intellectual property rights in the work and that they have obtained prior written approval for the use of any third party copyrighted material contained in the submitted work. Artists will allow the work to be photographed and reproduced by the prize for the purposes of promoting the exhibition including; catalogue, press and publicity and websites in all territories. Copyright of all works remains the property of the artist. Any enquiries for copyright will be referred to the artist. In accordance with the Data Protection Act 1998 (and all other relevant Data Protection legislation), the prize will hold the personal data of artists supplied on the Entry Form securely. 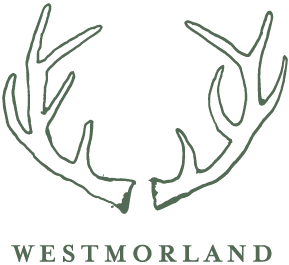 The data will only be used in the process of administering the Westmorland Landscape Prize and will not be transferred to any third party not directly involved in this prize. By entering the Westmorland Landscape Prize artists are agreeing to all of the within Conditions of entry. The prize’s decision on all matters pertaining to the above is final. The prize reserves the right, at any time, and from time to time to amend, modify, vary, or discontinue the terms of this competition.